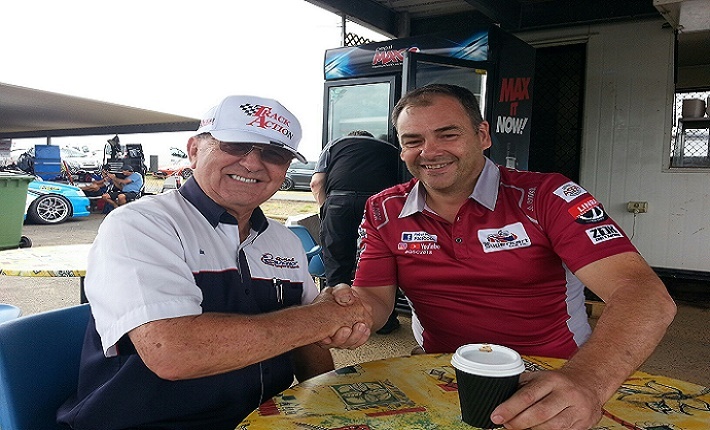 Queensland Raceways CEO, John Tetley, and QSC member Raymond Raaymakers excitedly discuss the future of the QLD Formula Junior Superkart (JSK) class. The QSC can proudly announce today that for the first time in Australian History a Superkart Club will hold over each school term holiday break in 2019 a come and try day for the Formula JSK at the sprint karting facility located within the Lakeside Raceway precinct in a competition ready Formula JSK 85cc 6-spd aero kart. Perhaps the biggest announcement is that entry into the come and try day and full competition in Formula JSK is confirmed at 12 years of age. The Formula JSK is an affordable true racing Formula designed to bridge a gap that is currently being felt around the nations race tracks. The next generation of circuit racers simply aren’t coming through as they had in the past. The cost of progressing from AKA karting into Formula Four and other categories is staggering for the masses and the talent simply falls to the wayside.